Taskmaster is a television show based of a UK show of the same name. 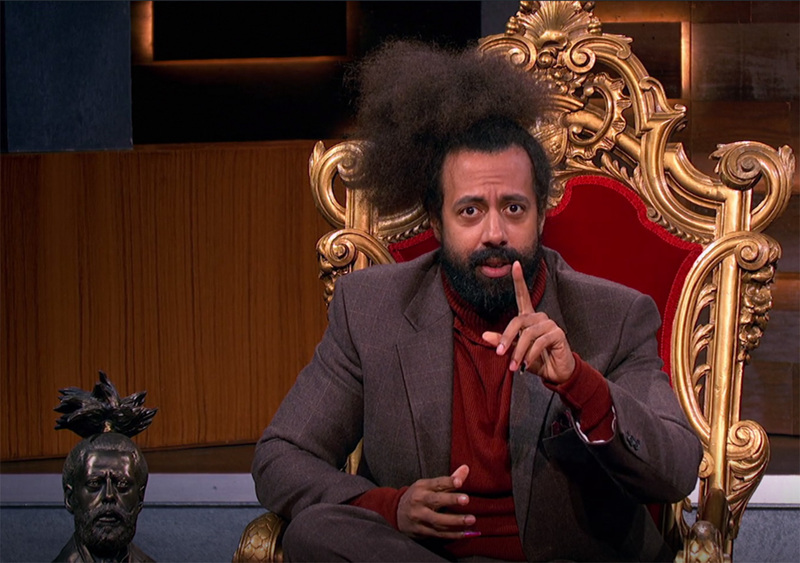 It is hosted by Reggie Watts and features a panel of actors and comedians who have to perform comedic and bizarre tasks. 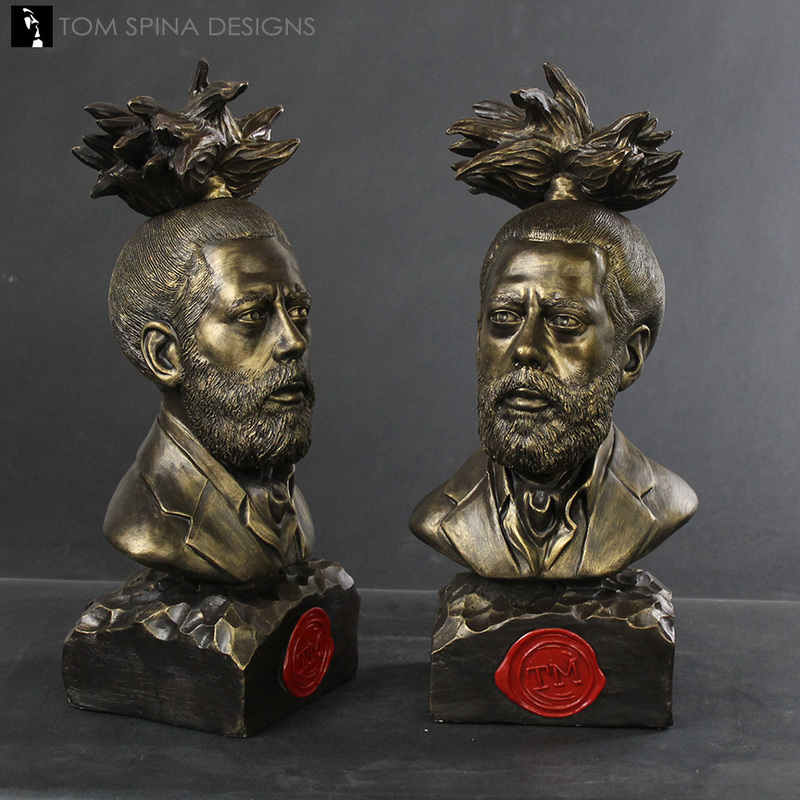 The Comedy Central show’s crew contacted us for a pair of Reggie Watts bronze style busts to be used as the trophy for the show. 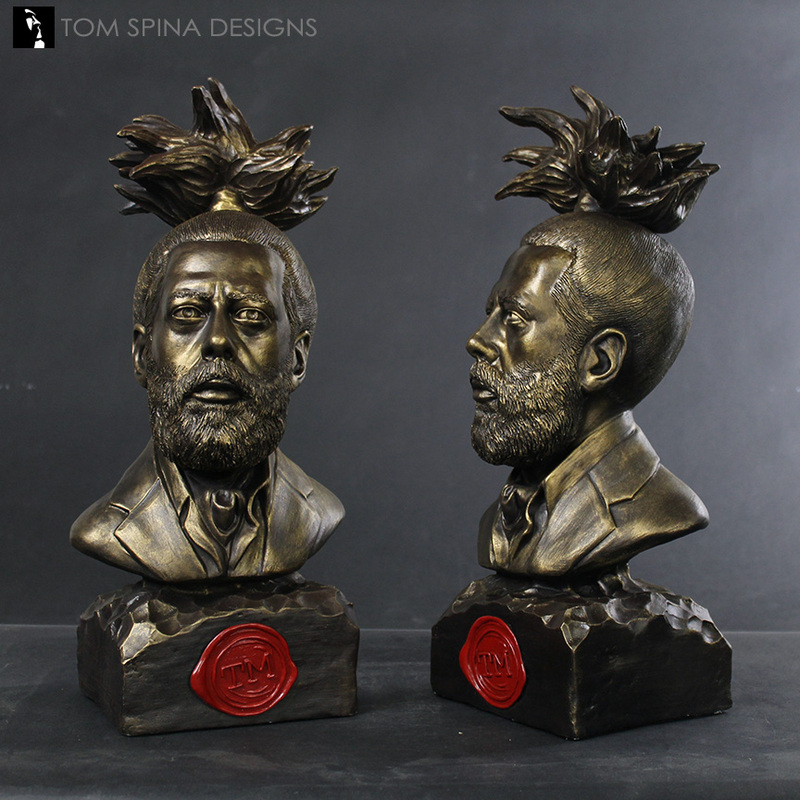 The unique challenge with this sculpture was definitely Reggie Watt’s hair. His voluminous hair is no doubt Watt’s most recognizable feature! 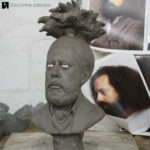 It was important for it to have plenty of character and texture, although achieving hair texture and movement in a medium like clay can be a challenge. 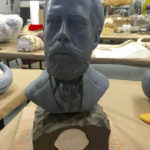 While we did not get a sitting with the actor, the production was able to provide us with extensive photography of Watts, which we worked from as our reference in creating the sculptures. 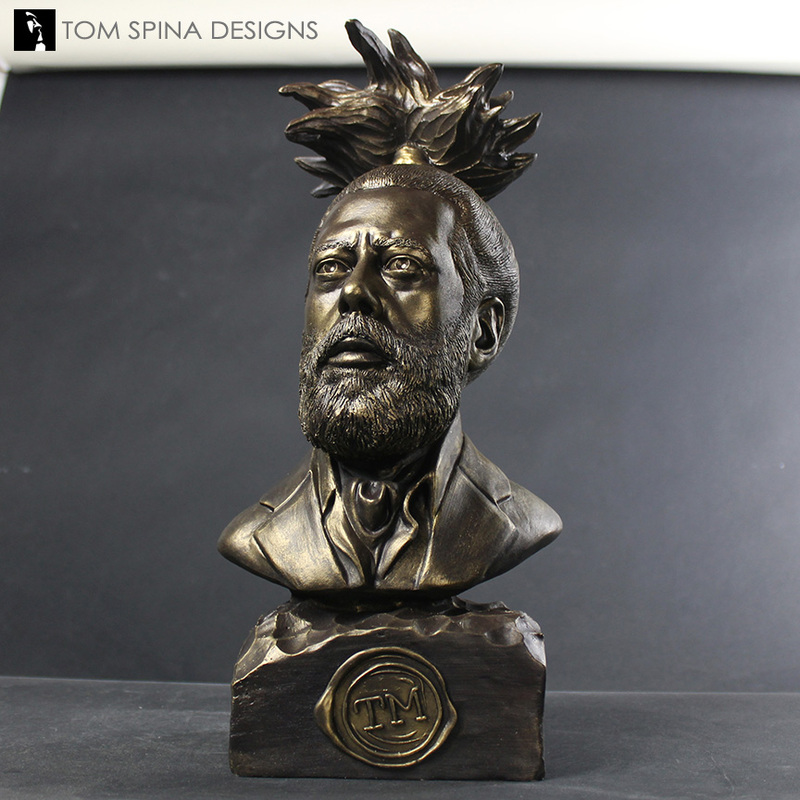 We worked closely with the Taskmaster production team to set the art direction of the busts, the look and hairstyle, and other details. 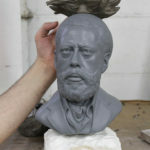 Throughout the sculpting process, we looped them in to make sure they were happy with the look of the statue, sending photos of the clay sculpture in progress and getting feedback and notes. 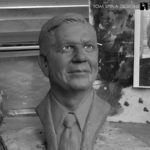 Once the sculpture was finished and had been approved by the client, we moved on to the molding process. 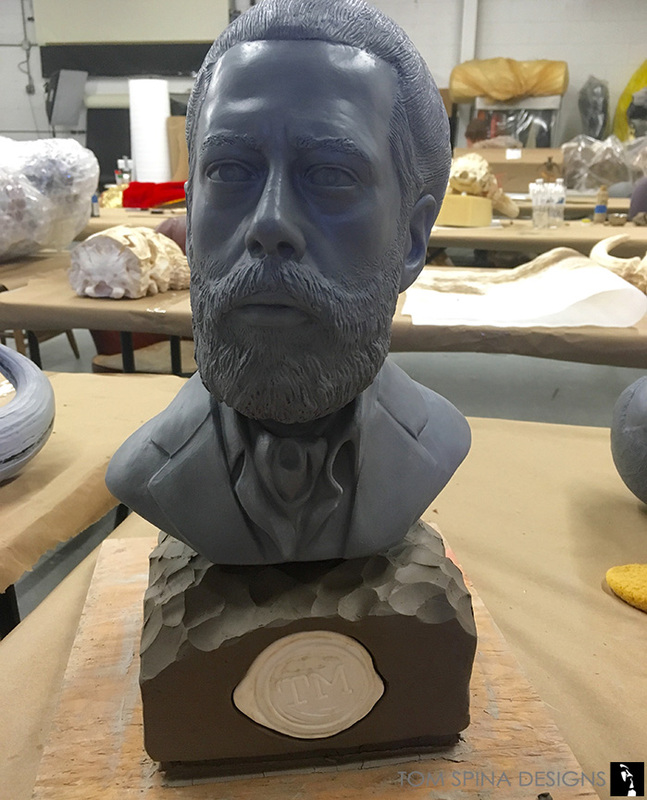 To make the molding process a little easier we created individual flexible silicone molds for the base, bust, hair, and Taskmaster seal. 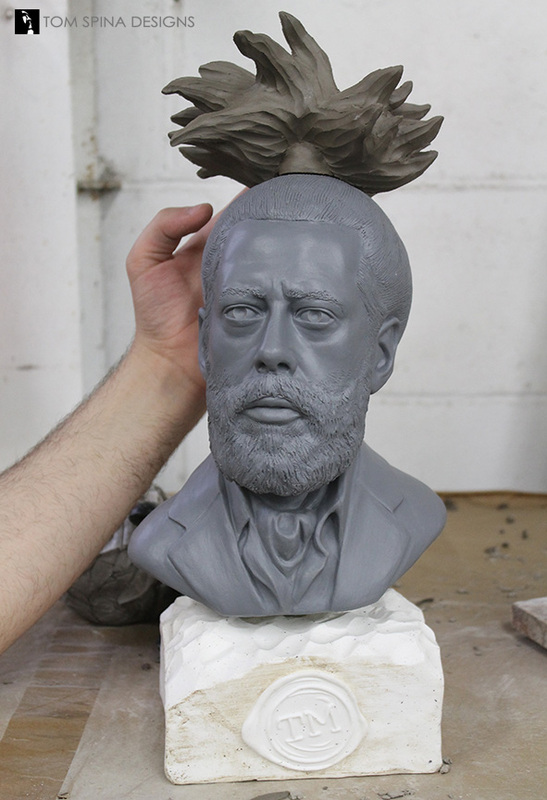 These negative molds capture the look of the clay and allow us to reproduce in a durable material like resin. 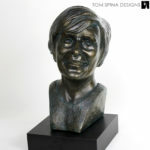 We cast up each of the pieces in polyurethane resin and assembled them into completed busts. 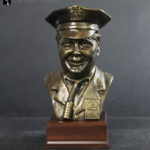 Each bust was finished using a faux bronze paint treatment. We then painted the seals red so it would give the impression of a real wax seal and we mounted it to the base of each bust. 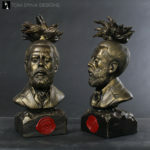 The final busts are between about 1/2 and 2/3 scale, and with the base and Watt’s hair, each stands at approximately 18″ tall. 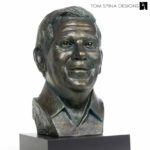 We had a blast bringing this bust to life! 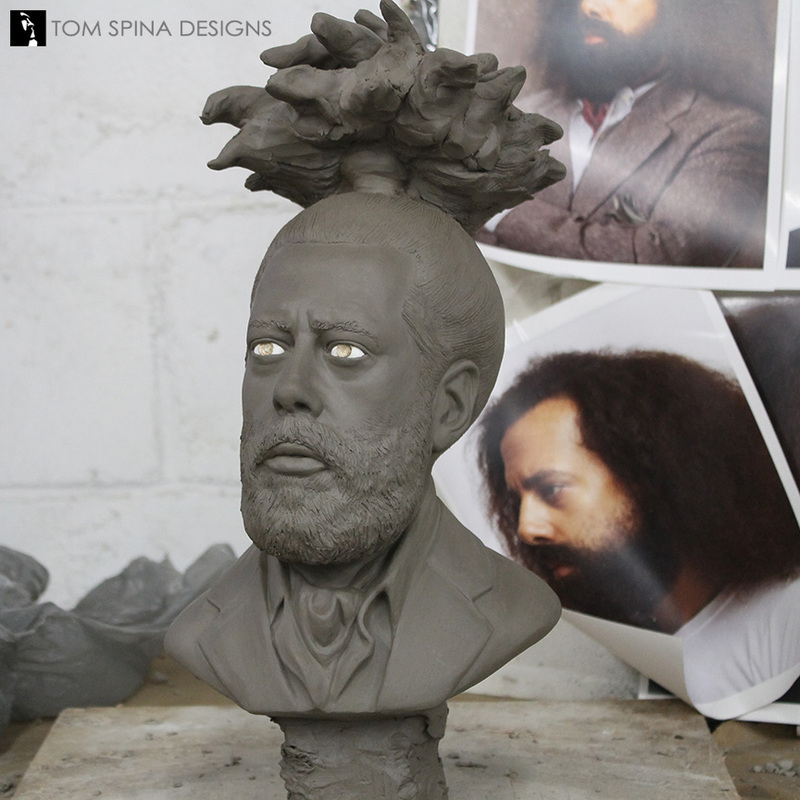 Check out the show and we hope you enjoy this look at our sculpting process.